Every Friday, we’re bringing you a local’s take on some of their favorite spots in Philly, and this week we’re excited to feature Mikey Ilagan. As Editor-in-Chief of Geekadelphia, producer of the Philly Geek Awards, photographer, avid runner, and cheesesteak aficionado, Mikey is overqualified to tell you where you should be eating in Philadelphia. Trust us – this guy knows his stuff. I’ve been a part of the Philly food scene ever since I started regularly following the local food blogs (The Insider, Foobooz, Phoodie) sometime in ’07 or ’08. It grew when I got into writing Yelp reviews sometime in ’09 or ’10. What drew me into it? Well, I love food and embracing all that is new. That’s simply it. I’d consider myself a pretty adventurous eater as well. Pork roll, egg and cheese on a kaiser. Doesn’t matter from who so as long as they don’t screw it up. Lunch? It’s been a lot of Poi Dog as of late. Can’t go wrong with them. I’ve yet to tire of their mochi nori fried chicken or kalua pork. Dinner? I perpetually crave Han Dynasty‘s Dan Dan Noodles. Forever. I’d get a sandwich from Paesano’s. Which one? Not sure. I’d pick one at random most likely. I’m making up for all the years Philly never had a proper ramen joint by going to Nom Nom Ramen regularly. I’d let an out-of-towner loose in Reading Terminal Market and let them choose whatever they wanted. Alternatively, I could also bring them to John’s Roast Pork and insist they get a cheesesteak instead of the roast pork. What is your favorite food event in Philly? The Great Chef’s Event is one that’s hard to compete with, for a great cause as well. You can find Mikey on Twitter at @mikeyil. You can also follow @Geekadelphia and @PHLGeekAwards. 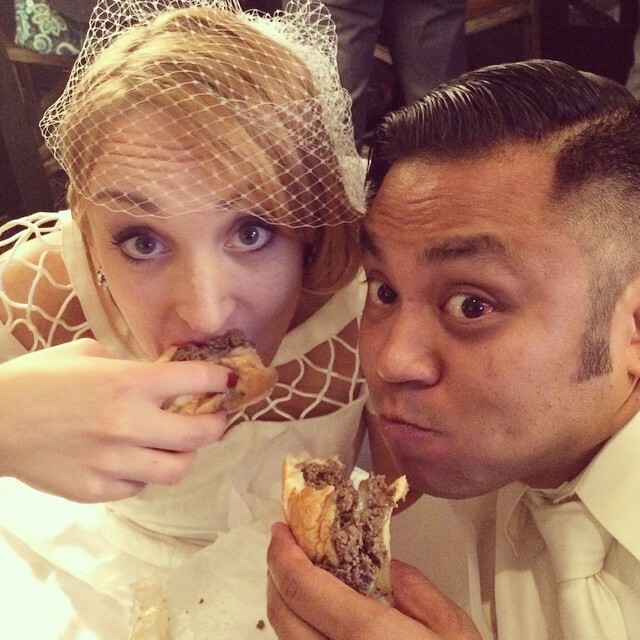 This entry was posted on June 12, 2015 by Ryan in Philly Fridays and tagged cheesesteak, geekadelphia, mikey illagan, philly, philly fridays, philly geek awards.